Taxes: Who pays, who benefits? According to StatCounter we had 666 unique visitors on Saturday. I clicked the "Came From" link and found that most came from a google search. I wonder if the fallen angel is able to google from the fiery flames? Don't you all wish you had grown up Southern Baptist? Saving the World One Light Bulb at a Time One Billion Bulbs helps you save money and fight global warming. In 1992 researchers at North Carolina State University identified Pfiesteria Piscicida (Pfiesteria) as one possible cause of fish kills in eastern North Carolina’s estuary system. Pfiesteria is a single-celled microorganism that lies dormant in the sediment of fresh and brackish water estuaries, but in combination with high nutrient concentrations potentially becomes a toxic predator of a number of local fish species. Recently, Pfiesteria has been linked to fish kills in Virginia, Maryland and Delaware. In addition to the scientific questions concerning the effects of Pfiesteria on the ecological health of the Mid-Atlantic region’s estuary system, public perception of Pfiesteria and other harmful algal blooms has the potential to impose significant economic losses on the region. 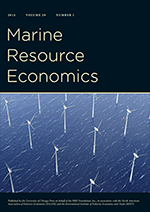 Lost use of recreational resources, lost tourism revenues, decreased consumption of seafood, lost fishing time due to estuary closures, possible medical costs for treatment and increased regulation on industries that impact the estuary systems all represent decreases in the economic welfare to the Mid-Atlantic region. Northern Virginia is one step closer to using congestion pricing to address commuters' traffic woes. On March 2, the Metropolitan Washington Council of Governments received a detailed plan to build high-occupancy toll (HOT) lanes along a 56-mile stretch of Interstates 95 and 395. These lanes would have sensors that track the flow of vehicles, allowing for tolls to be adjusted as quickly as every six minutes. The NOAA-sponsored 2007 National Flood Safety Awareness Week, which takes place March 19-23, is intended to highlight some of the many ways floods can occur, the hazards associated with floods, and what you can do to save life and property. Today, March 22, is Flood Insurance Day, and according to FEMA, is the perfect time to remind residents about their flood risks and how to prepare themselves. "Flooding is the nation's number one natural disaster, occurring both inland and on the coast. It's important to note that flash floods, inland flooding, and seasonal storms flood every region of the country," said David Maurstad, director of FEMA's Mitigation Division and Federal Insurance Administrator. Let me be the first to remind you about your flood risks and how to prepare yourself. Hey John! The hurricane season is going to be active again this year. The Atlantic hurricane season will be exceptionally active this year, according to a British forecasting group, raising the possibility that killer storms like Hurricane Katrina could again threaten the United States. London-based forecaster Tropical Storm Risk on Tuesday said the six-month season, which begins on June 1, was expected to bring 17 tropical storms, of which nine will strengthen into hurricanes with winds of at least 74 miles per hour. If you don't know why this is interesting, click here. Facing soaring premiums or feeling shortchanged by their insurers, a growing number of homeowners and businesses in Louisiana and Mississippi are “going bare,” or dropping their coverage altogether, insurance agents and consumer advocates say. Many more are drastically reducing their coverage. With the new hurricane season beginning June 1, it is a risky strategy. These people could lose everything in a storm or some kind of tragic accident around the house. From the cold-blooded environmental economic perspective this is great news. The price of insurance, an increased 13%, is better reflecting the risk of living in coastal areas. Future coastal development might go down. And, economists are, generally, big jerks. According to a completely unsubstantiated Google search, it takes 20.73 40-foot trees to make 1 ton of paper. The next (and final) Harry Potter book--due for publication in July--is to be 784 pages long and will have an initial printing of 12,000,000. That's an estimated 16,700 tons of paper--or 346,191 trees! Yesterday, Scholastic, Inc--the Potter Publisher--announced an agreement with the Rainforest Alliance to use "a minimum of 30 percent post-consumer waste (pcw) fiber" in the Potter book--that's a savings of 103,857 trees. But what will it cost? Now UPDATED due to author incompetance. I like this idea, cardboard coffins, introduced by commenter Ben Dansie. At today's exchange rate I can get a box for my bones for only about $550. And it is recycled. If it is cheaper than cremation, please sign me up. An important question, however, raised in the post linked in the next sentence is, do cardboard coffins require more expensive plots? Cardboard coffins still aren't as cool as Nate's eco-burial. Will someone please bury me in the desert wrapped in a sheet? An important question, however, raised in the post linked in the first sentence of this paragraph is, do cardboard coffins require more expensive plots? Or better yet, I'd prefer one of those Norse King floating funeral pyre-things. Send me out into the Pamlico River, in a steel canoe, launched from Bath, NC. Does a blog post have legal standing? Does a co-blogger have the obligation to make sure that my wishes are fulfilled? Will I ever type another substantive post?